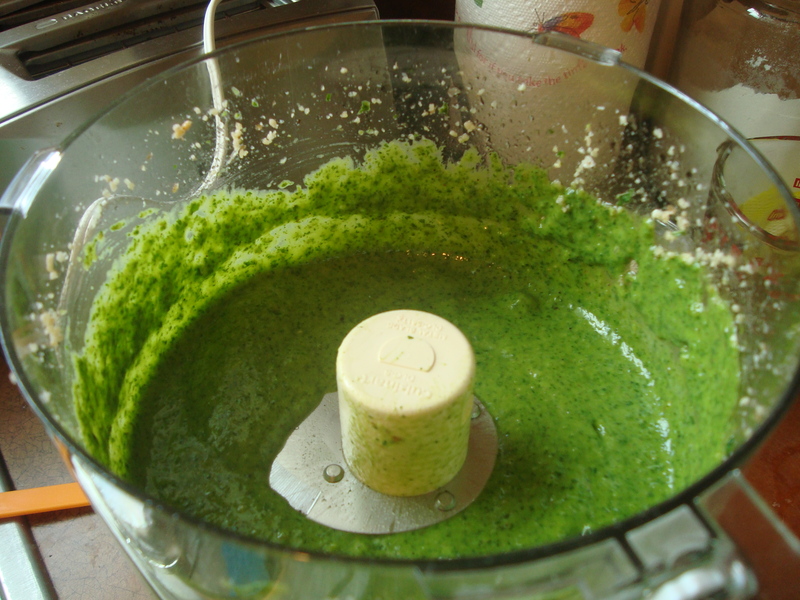 Pesto is delicious. Pesto is beautiful. Pesto purchased from the store is WAY overpriced. Make it yourself in under five minutes. For real, yo. Oh! 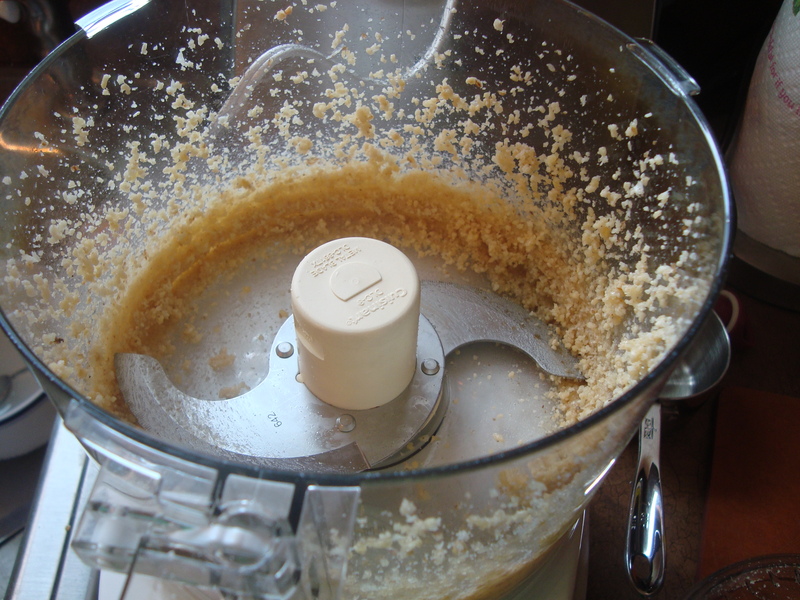 You need a food processor. If you don’t have one, you can come over and use mine. You just have to leave me half the pesto. It’s only fair. 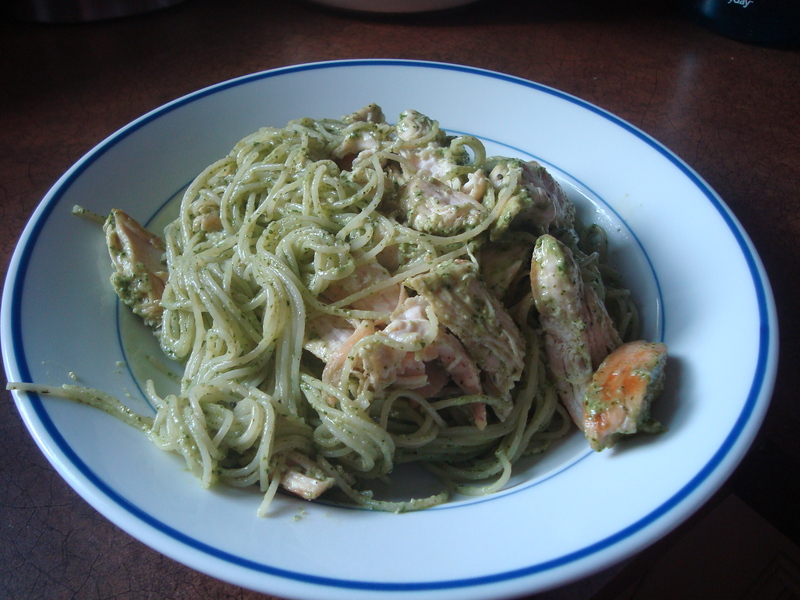 I made Ina Garten’s pesto (big surprise there) and was really happy with it. 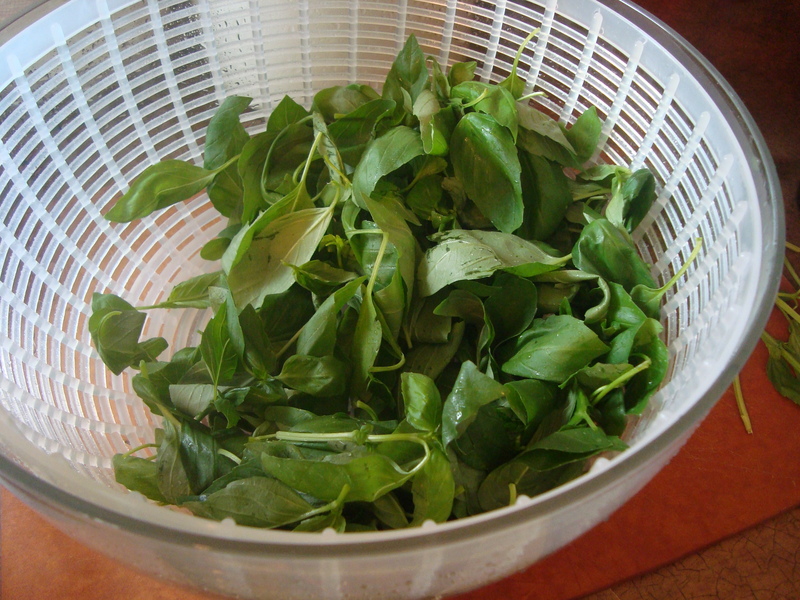 Wash and dry all your basil. 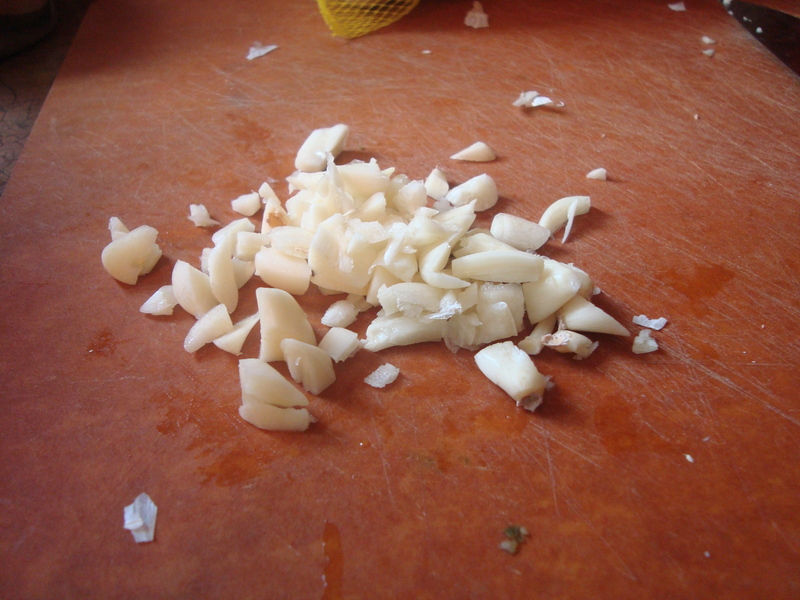 Give the garlic a rough chop and place it in the food processor with the pine nuts and walnuts. 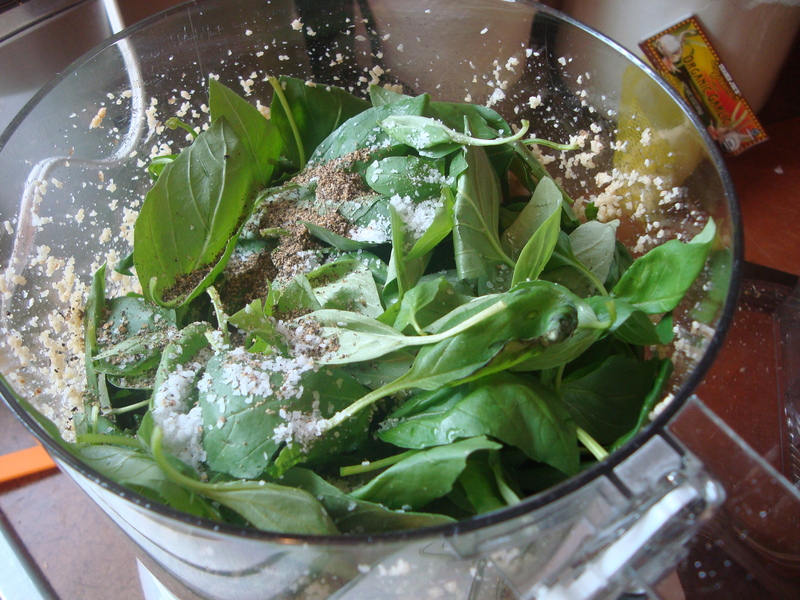 Process for 15 seconds and add the basil, salt and pepper. Turn the processor on and slowly pour the olive oil in the feed tube. You may not need the whole 1.5 cups. It really depends on the consistency you like. Add the parmesan and process for one more minute until everything is combined. That’s it, boys and girls! 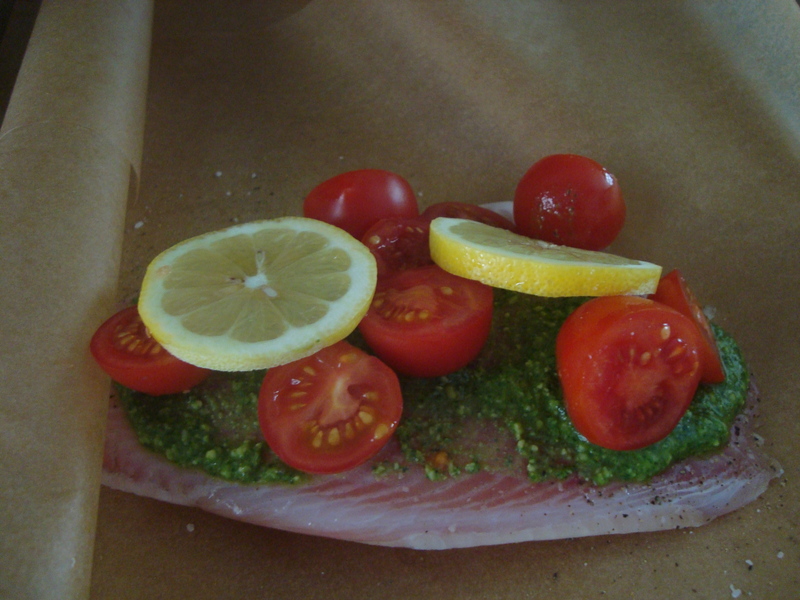 You can pour some over fish and add halved cherry tomatoes and lemons. 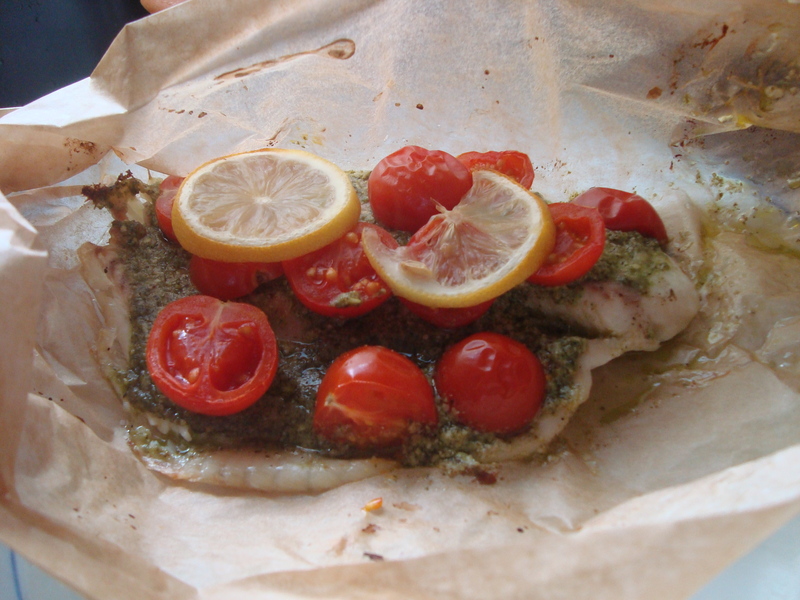 Wrap the fish in little parchment packets and bake. Very delicious and pretty healthy. Cooking time will vary a lot depending on what type of fish you are using so do some Googling. 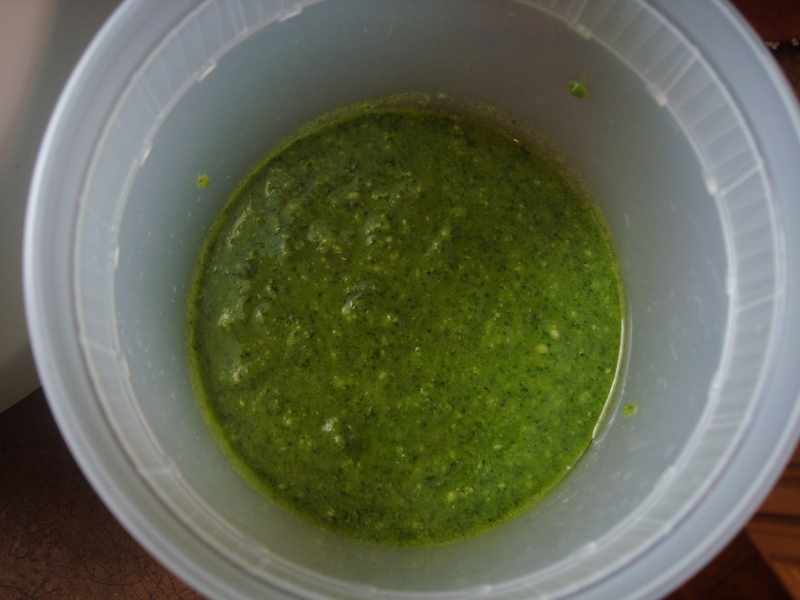 If you’re not using up all the pesto within a week, pour a little olive oil on top and stick the container in the freezer. Thanks, Ryan! I really like it with the walnuts. 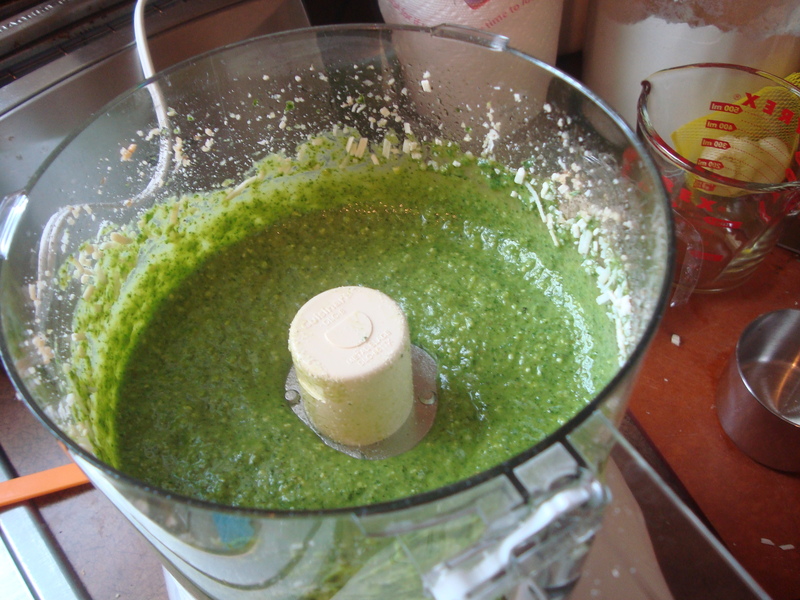 I’ve seen other recipes where the pesto is made entirely of arugula and walnuts so I may try that next.